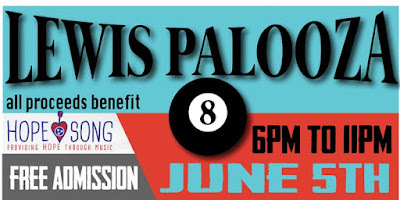 Lewis Brice to Headline 8th Annual Lewispalooza to Benefit Hope Song! Lee Brice and Jerrod Niemann to Appear! 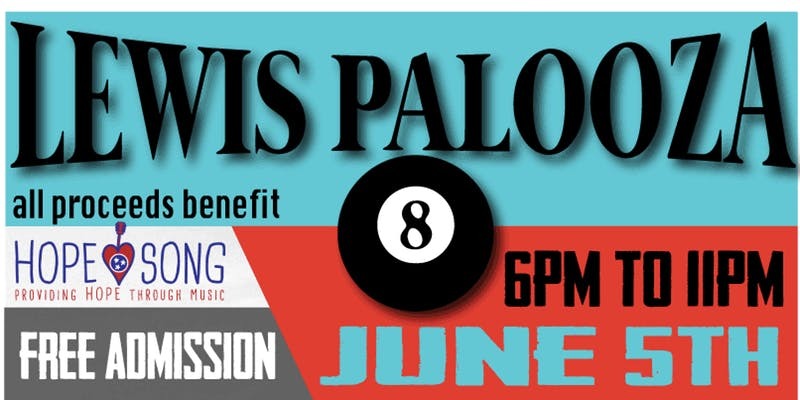 Lewis Brice will hold his 8th Annual Lewispalooza to benefit Hope Song, a charity dedicated to providing hope to cancer patients through music, on Tuesday, June 5, 2017 from 6 PM to 11 PM outdoors at the Tin Roof Demonbreun! Admissions is free but their is a suggested donation of $20. You may also purchase VIP Tickets that include 2 drink tickets, food, front row seating, and meet and greets with the amazing lineup for $50! Lineup includes: Lee Brice, Jerrod Niemann, American Young, Lewis Brice, Walker McGuire, Rebel Roads, Channing Wilson, Rob Snyder, and more.